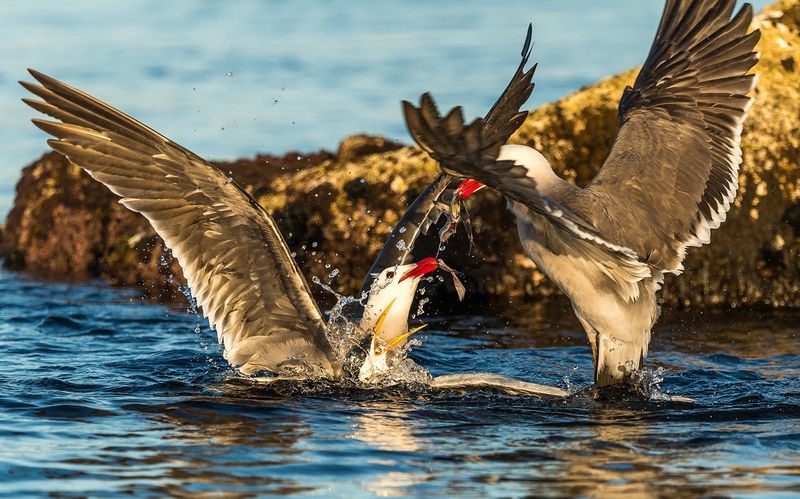 As an Elegant Tern came in with a fish catch two Heerman's Gulls would violently attack the much smaller Tern biting it's neck, then pushing and holding the Tern underwater causing the Tern to not only drop it's catch but to regurgitate more fish. It was both an exciting and very violent behavior that we did not see anywhere else on the island except for these two particular Gulls. The more time we spend in the wild we continue to be amazed by Nature's Way.